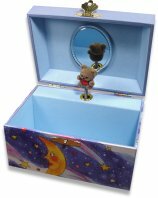 A childrens music box with a teddy bear and moon centred on the lid, surrounded by stars. When the lid of this music box is lifted the tiny figurine pops up and revolves to the tune. 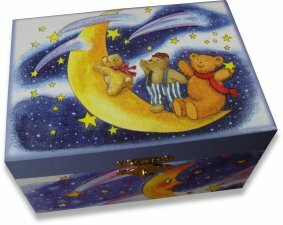 This music box plays "Fly Me To The Moon".